Ever wondered how others view you in social interactions? Wouldn't you like to know if you have inviting body language? Wish you had the opportunity to give and receive in-the-moment feedback to your peers? 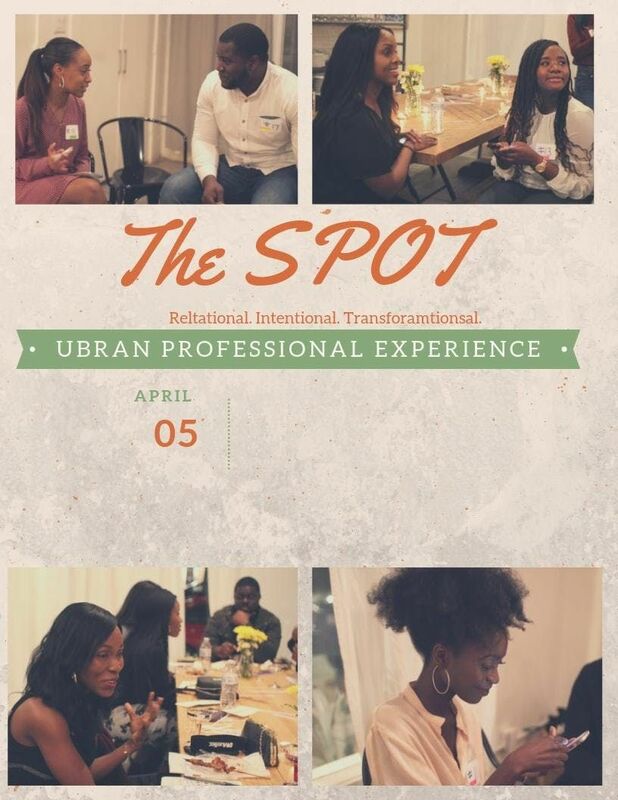 Join us and other urban professionals from the DMV area at The Spot on Friday, April 5th, to learn more about how you interact with your peers in social and professional settings. Don't limit yourself by not knowing your worth - share your experiences and learn from others! 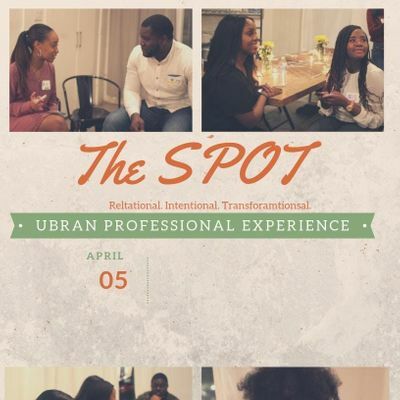 The Spot is a new social event, aimed at pulling together like-minded, passionate professionals of color in a social space to gain both personal and professional development skills all while making new connections. This two-hour event will allow guests to engage in low-stake social conversations with peers over food, wine, and an inviting ambiance. Each interaction will be followed up with peer feedback aimed at helping each guest become more relational, intentional and transformational in future interactions. So, come and gather to meet a new friend, a new business associate, a new neighbor, or more. After party to follow immediately!! Be relational. Be intentional. Be transformational. Parking: Street parking or parking in nearby garage. Dress Code: "Friday" Business casuals - although its networking, its still social!